Please rain on my Mary Janes! Now that autumn is officially here, these gumboots will have your daughter jumping for joy in those puddles! Mary Jane gumboots from US-based Chasing Fireflies are not only incredibly cute but functional too. 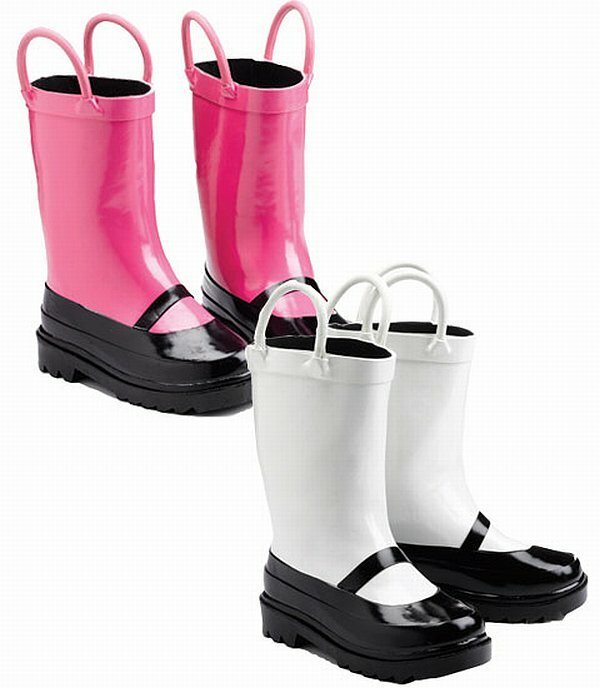 Made from waterproof rubber, with easy pull-on handles, they come in hot pink or white. These will hard to prise off even when it’s not raining! These will set you back $US34 a pair but you’ll have to get someone in the States to send them to you as shipping to Australia is not yet available. 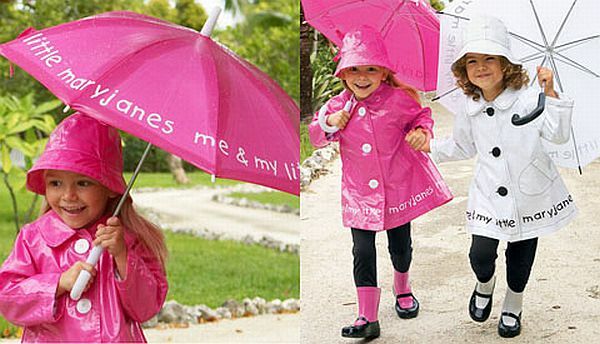 Check out the matching umbrellas and raincoats too.